Halloween is all about the treats and this chocolate covered strawberry milkshake certainly doesn’t fall short in that category. 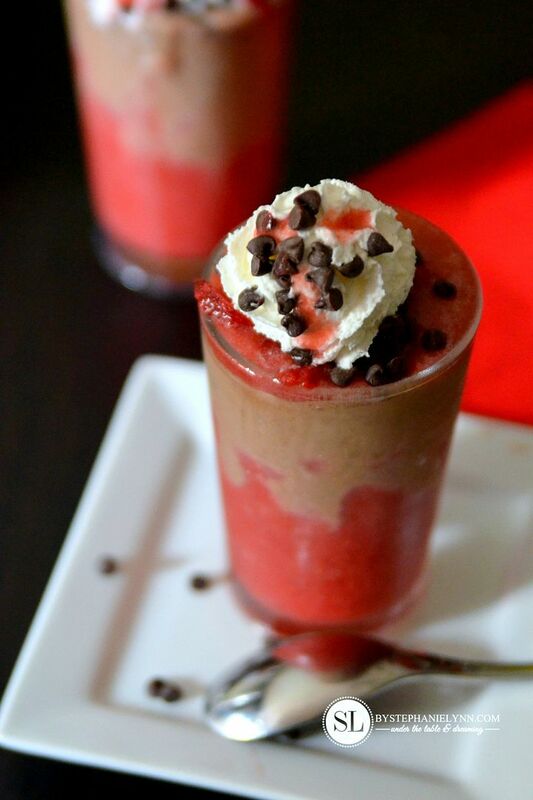 This yummy concoction combines a thick rich chocolate milkshake layered on top of a sweet frosty strawberry smoothie that takes just minutes to mix up. Without being overly gory the shake was actually inspired by the ghoulish Halloween vampire, Dracula. I’ll spare all of the spooky details and gruesome connotations because this is a pretty tasty treat – but since it’s that mysterious time of year…eek! Blend all of the ingredients together until smooth. Ice cubes can be added to reach desired thickness. Divide the smoothie between two glasses and place in the freezer. 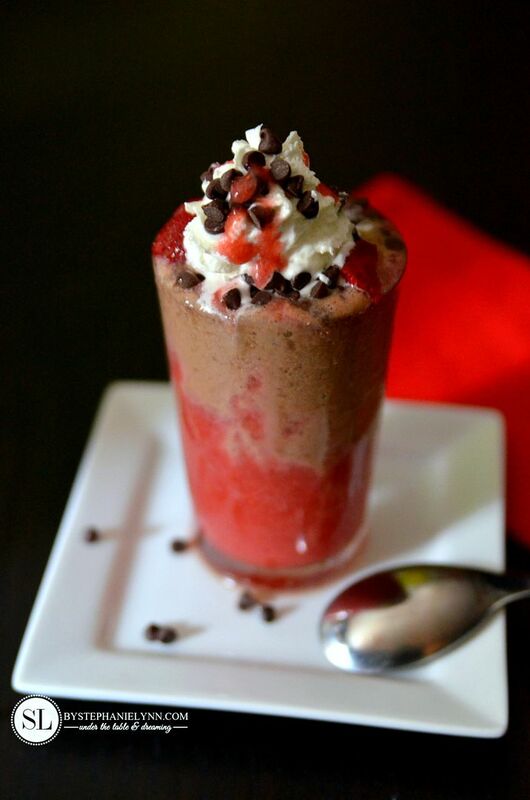 Remove the glasses from the freezer and pour the chocolate shake on top of the smoothie. Using a long spoon, gently stir the two layers. 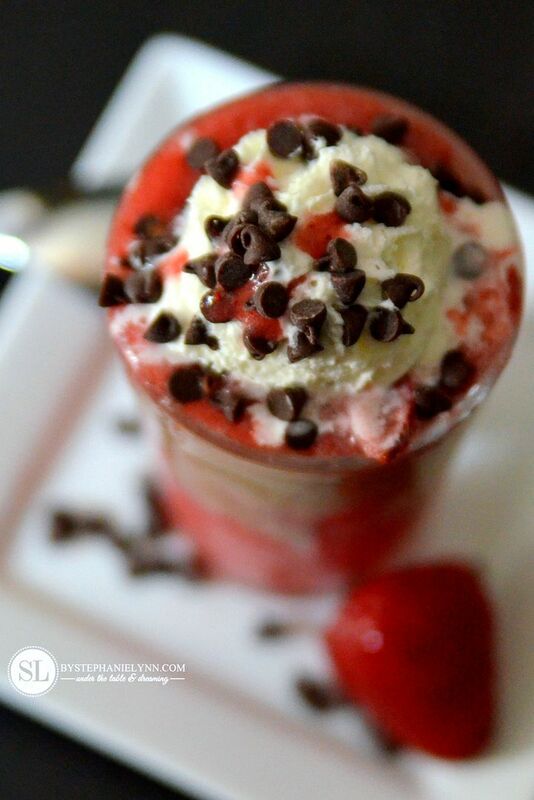 Garnish with whipped cream, cut strawberries and chocolate chips. I love the layered look however all of the ingredients can be blended together as well. We topped our shakes with whipped cream, cut strawberries and some mini chocolate chips – though they are seriously delish all by themselves. TruMoo does not contain artificial growth hormones or high fructose corn syrup and provides 8 essential nutrients that kids need for critical development stages. 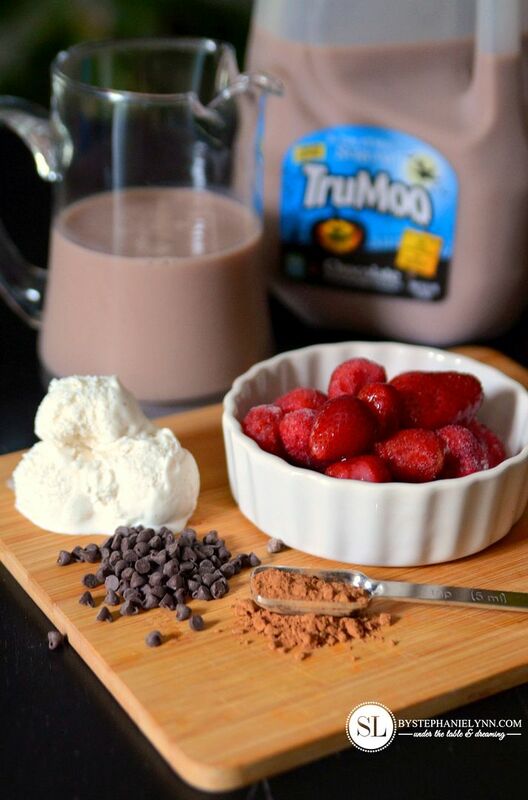 Did you know one 8-ounce serving of TruMoo provides as much calcium as 5 cups of broccoli and as much potassium as a small banana – all without sacrificing a rich creamy taste! Can’t get enough of TruMoo? and enter the Facebook contest for a chance to win weekly cash prizes through October 31! You can also enter the TruMoo Sweepstakes for a chance to win a family trip for four!